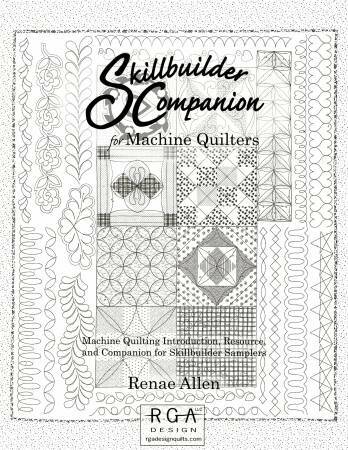 "Skillbiulder Companion" is a valuable guidebook for quilters interested in developing or improving machine quilting skills. It is ideal both for individual learning and class instruction. The clear photographs and excellent illustrations make this book easy to read and easy to understand. It contains stepbystep instructions for quillting with the Skillbuilder practice fabrics. The ample instructions emphasize techniques and provide several tips for the continuing learner. Softcover, 16 pages, black white. Also available: Skillbuilder Sampler Fabric 1 Item 14211 and Skillbuilder Sampler Fabric 2 Item 14212. By Renae Allen, 2007.